The very interesting story of the Burlington Dental Academy (BDA) does not start, as you might think, in Burlington, Ontario. 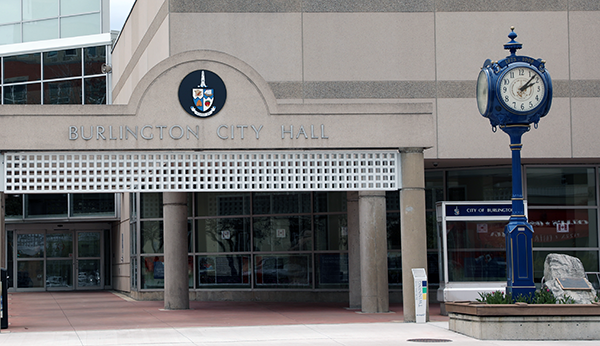 It starts in the precincts of its much larger neighbour to the west, Hamilton. At one time, Hamilton was the centre of heavy industry, business and culture at the west end of Lake Ontario and the Royal Connaught Hotel was the only meeting venue worthy of consideration between Niagara Falls and Toronto. It may surprise you to know that the Hamilton Academy of Dentistry (HAD), established in 1869, was Ontario’s first locally organized dental society. In fact, two of its members, Dr. C S. Chittenden and Dr. D. A. Bogart, were instrumental in founding the Ontario Dental Association in 1867. So, it’s only natural that Burlington dentists were eager to belong to the progressive and prestigious Hamilton Academy. In the early part of the twentieth century, Burlington was a sleepy little agricultural community parked beside the industrial powerhouse of Hamilton, with only a small handful of medical and dental professionals to serve local residents. But, little by little, Burlington transformed itself from a lakeside market town to a city worthy of the name. It wasn’t long before the city grew large enough to need a hospital and, in 1961, Joseph Brant Memorial Hospital (JBMH) opened with 228 beds for a population of less than 50,000. A short decade later, the hospital had doubled in size to serve Burlington’s burgeoning population of 75,000. From the date of JBMH’s founding, the dentists of Burlington maintained a 24 hour per day, 7 days per week emergency dental service based at the hospital. At the time, this public spirited initiative was unique in Ontario. The dentists of Hamilton, by comparison, operated a weekend-only emergency service. This difference in approach continues to this day! It can be truly said that the desire to form Burlington?s own dental society grew out of an altruistic commitment to community service. In 1974, the Hamilton Academy of Dentistry had 232 members. Of these, 81 resided in the Burlington area. However, as Dr. Jim Biggar, a Burlington Periodontist, observed in a letter to the ODA, the numerous young dentists settling in the area were not very interested in attending Hamilton Dental Academy events. Long-time Burlington dentists, such as Robert Echlin and Bob Sadler, felt that they were not getting to know their younger colleagues and there was a strong desire to establish a better professional network in the community. Encouraged by their colleagues, Jim Biggar and Fred Bodnar took it upon themselves to act. They collected 32 signatures on a letter requesting the establishment of a new component society of the Ontario Dental Association in Burlington. To strengthen their case, they very adroitly obtained the support of the leaders of the Hamilton Academy of Dentistry. It must be said that the HAD was commendable in not blocking the formation of the BDA, despite the fact that they were losing a significant portion of their membership to the new society. In July 1975, Jim and Fred appeared before the ODA executive council to make a formal request for a dental academy in Burlington, Ontario. And the rest, as they say, is history! Since this auspicious beginning, many BDA members have held offices in the ODA, including former ODA president Dr. Don Russell, and have made important contributions to the betterment of our profession. In the Burlington community, the BDA can be very proud of the efforts of Dr. Robert Peeling who, as co-chair of the renowned “Burlington Rotary Ribfest” for 18 years, has raised millions of dollars for charity. Under the able guardianship of Dr. Bruce Gardner, Burlington dentists still continue to offer 24 hour per day, 7 days a week, of emergency dental service to the citizens of the greater Burlington Area.? Although no longer associated with JMBH, the community spirit of those early days still lives on in the member dentists of today’s Burlington Dental Academy. Respectfully submitted by Chris von Rosenbach D.D.S.